About two weeks ago I attended a press event for the Dutch drugstore Kruidvat. This drugstore has been upping their game constantly and they sell some pretty amazing items and brands. Their own brand is evolving every year and I saw many new products at their press event. A short impression of this event can be found in my latest vlog, check it out! 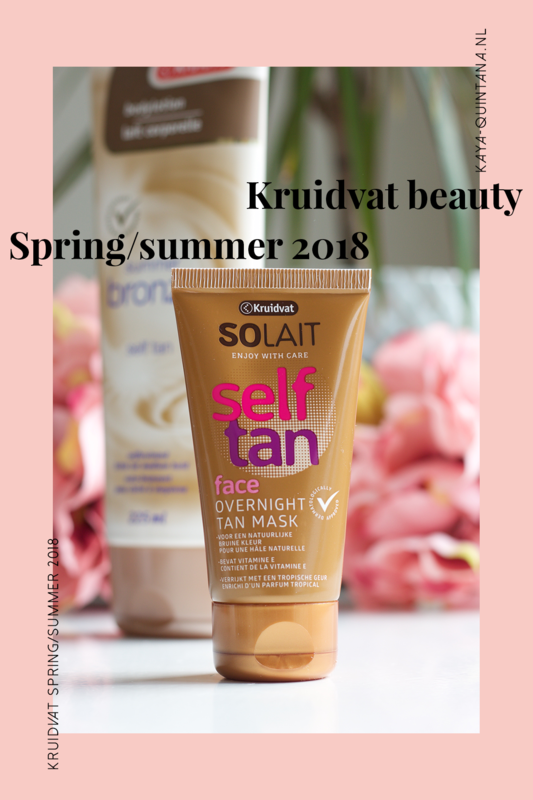 If you want to know more about the new Kruidvat beauty products, keep reading. Because there are some really nice goodies* for you to try out. Let’s start off with sunscreen, because spring is here and the summer is coming. 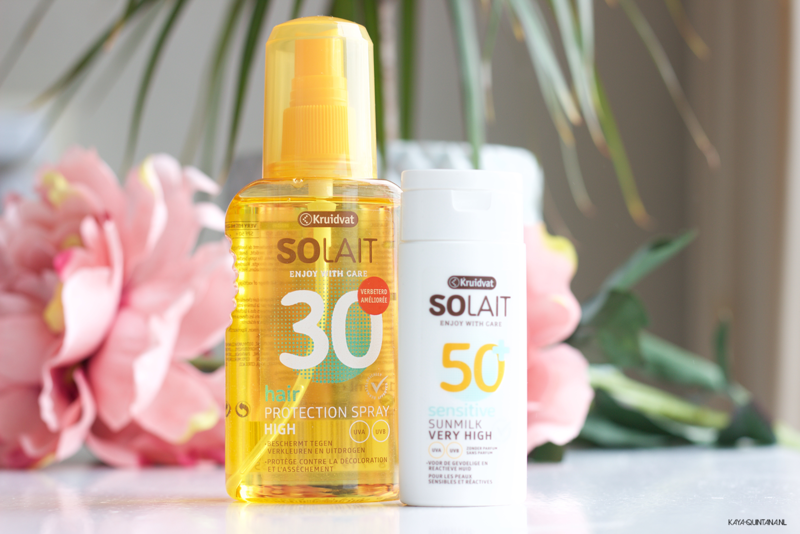 Kruidvat has a big collection of sunscreen products. One of my favorites is their clear and water-resistant spray, which I love to wear while jogging outside. They’ve also released a new sensitive sunmilk with spf 50. Which is great because it doesn’t contain any perfume. This is ingredient makes it really hard for me to use most sunscreens due to eczema and allergies. It’s great that there now are more affordable perfume free products for people like me. They also released a hair protection spray. Now, this isn’t very new, but I’ve mostly seen sprays like these at high-end brands. This spray costs €6,99 which is obviously really affordable. The Kruidvat beauty team also told me you can not only use this on your hair, but also on your scalp to protect it from sunburns. 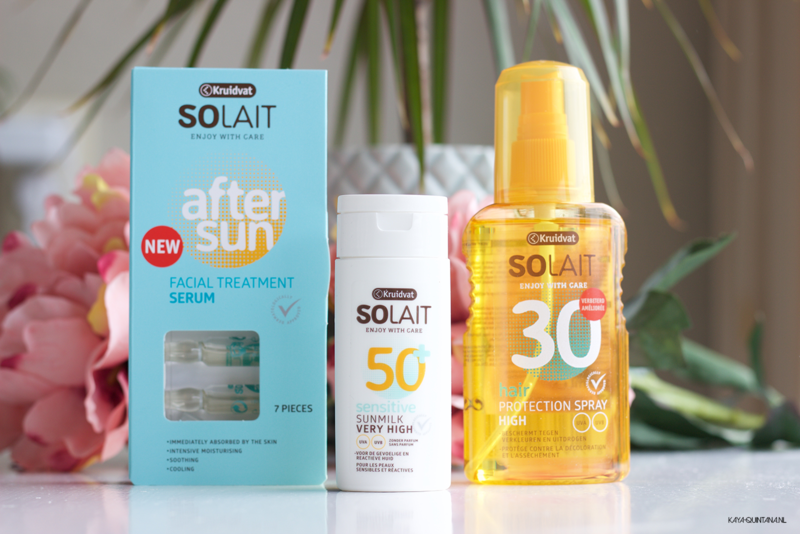 Talking about sunburns, you also need some after sun products. 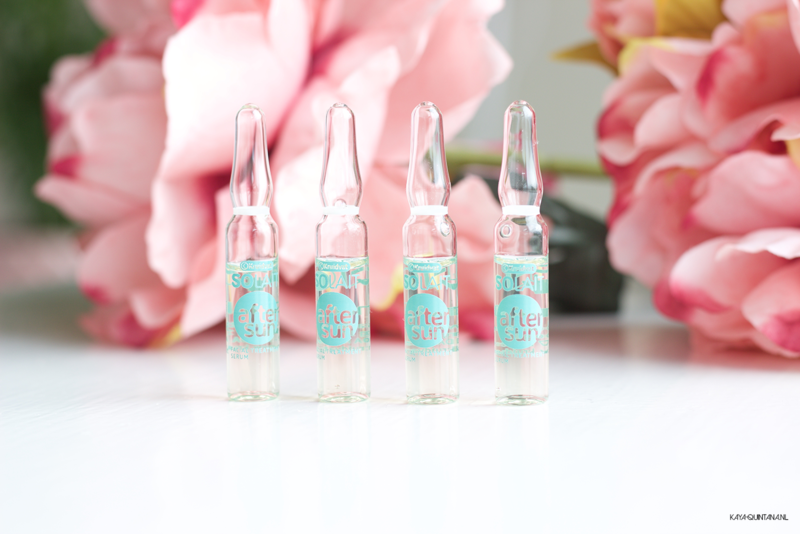 The facial treatment serum ampoules really caught my attention. They look very luxurious and easy to bring with you on a holiday. 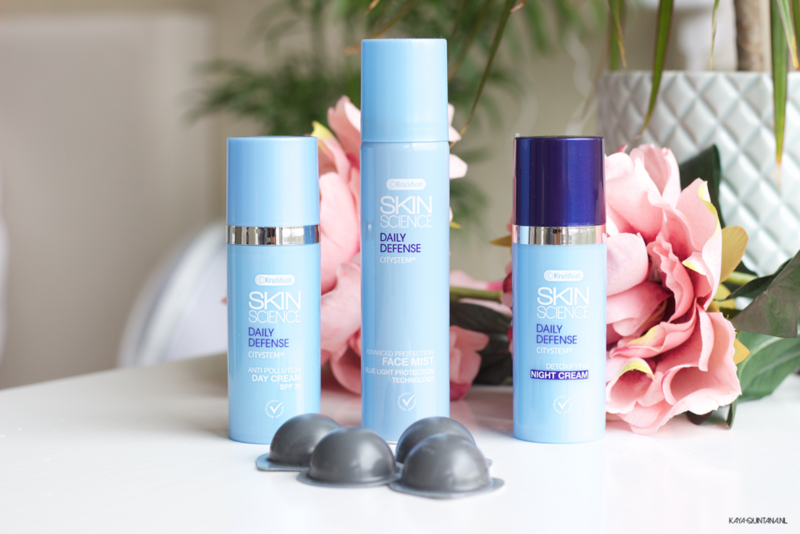 Last but not least, is the new Skin science daily defence citystem collection. This entire skincare collection is created to prevent your skin from getting damaged by (air) pollution. Apparently, pollution is getting worse and it’s effecting our skin. Kruidvat has made it their mission to sell affordable products to help you fight that horrible pollution. 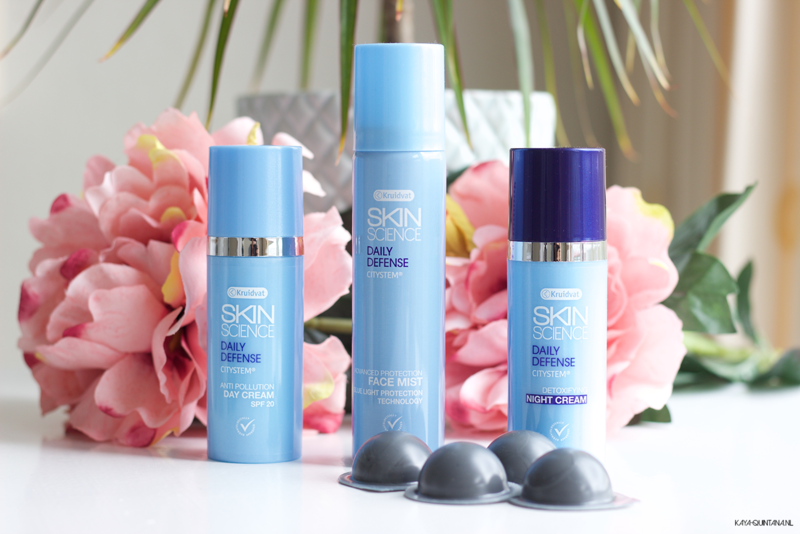 You can now get yourself a day and night cream, a face mist and a clay mask. The face mist is the most interesting to me, because it seems so simple and easy to use. Now let’s talk self-tanning, because I know a lot of women love doing it. I have tried it once or twice myself, but I’m not very good at it. It always comes out streaky or orange, oops! You can now give the Summer bronze self tan bodylotion a try. There’s also an overnight tan mask for your face, how about that!? This is pretty interesting to me, because it sounds so scary! You’re supposed go to sleep with this cream on your face and wake up tanned. Hopefully you won’t end up orange or spotted like a giraffe, haha! Well, I guess I just have to try it out myself first. 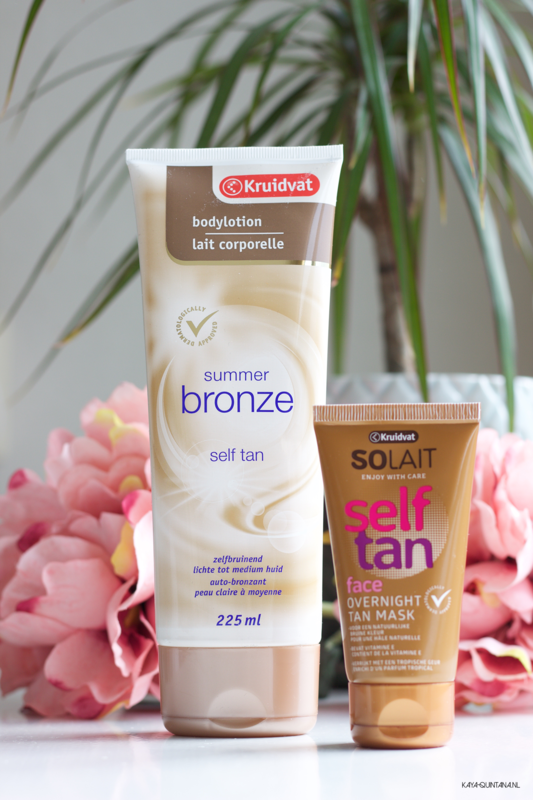 What do you think about these new Kruidvat beauty products?